The twenty five horsepower motor fired right up and the ten or twelve passengers settled into their plastic chairs or into their nests at the bottom of the pirogue. Before sitting we sang, “Biso tokobima na mpusa matembe/ Tokotambolaka nde nkolo Yesu”. We are on the Ruki River which connects the mighty Congo to the Tshuapa, the tributary which has served as the route of successive waves of rebels seeking to overthrow the feeble governments of the country. 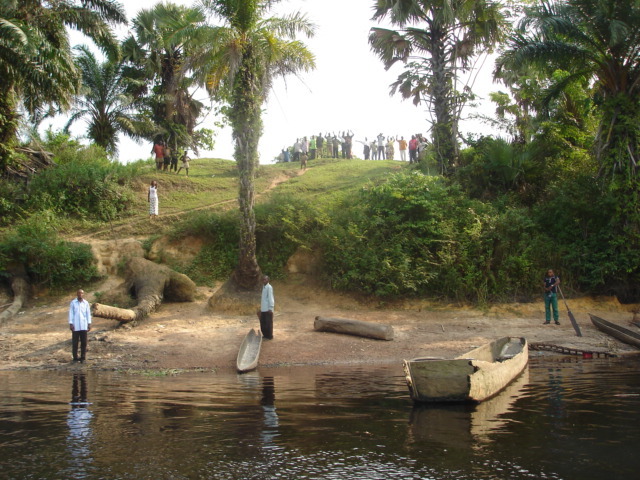 The Ruki flows into the Congo at Mbandaka, the capital of Equateur Province, the least developed of the Congo’s 10 provinces. 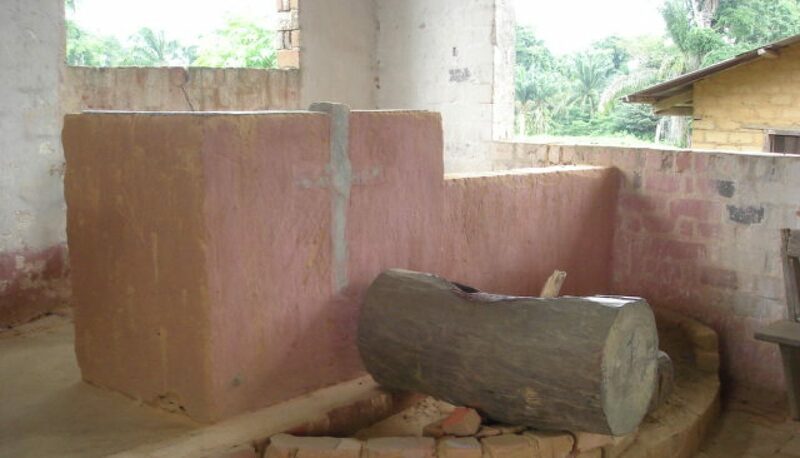 Equateur’s capital is also the headquarters town of the “Communaute Disciples du Christ au Congo”, number ten among 65 “Communautes” now making up the Church of Christ of Congo. “We leave now on the next step of our journey/ The journey we walk together with our Lord Jesus” we sing before taking our seats in the pirogue. On our way, we all think of the Regional Minister for the Ingende/Longa Region who died in the Ruki just below Longa. On a night with little to no moon five months before, his over loaded pirogue had capsized and fifteen drowned. After we sang someone prayed for the deceased’s widow and family still living in Ingende where we would spend the next two nights. Riding the bike up the Avenue Bonsomie (Independence) hill on the way home, as I began to labor a bit, I hear behind me, “Mondele (white man), natindela yo?” I grunt in response without fully understanding the question. Suddenly I know the meaning as I am pushed up the hill by a bicycle taxi driver who releases hold after several vigorous steps. The rain began to fall hard as I rode home late one afternoon. I sought shelter under the tin roof of a street stall where used clothes were displayed on boards laid across saw horses. A half dozen early to mid teen youth hung out in the “store”. After directing me to a dry spot, one of them was intent on teaching me the Lingala for “to get wet” as she offered me a chair. While one of the boys wiped my bike with a rag I gave out a box of “bics” with the hope expressed they would all be able to stay in school. When the Regional Minister introduced me to the pygmy secondary school graduate, the small man in his early twenties went down on one knee as he extended his arm for a hand shake. At the end of the conversation about his desire to become a nurse in one of the Church hospitals, he repeated the gesture. Again, the Regional Minister chuckled, slightly embarrassed, and this time said something in Lonkundo which I could not understand.